A young bank official named Joseph is arrested by two policemen one fine morning, without even being informed why. Joseph is outraged.Till his death, Joseph does not get to know what is he being tried for. Joseph is the protagonist of Franz Kafka’s seminal work ‘The Trial’, which is the story of Joseph's case, his trial and tribulations with : the invisible Law, absent judge, opaque court processes, police excesses and the high-handedness of our criminal justice system. He dies a year later at the hands of the very policemen who had arrested him, in a striking finale of how the system consumes him. Like all fiction, the story is a lie, but one that says a lot of truth about our criminal justice administration, or at any rate, its prevailing stereotype, which has a definitive impress of truth. Enter G, a 6-year old girl taken to a field, enticed with sweets, and then raped; her delicate face smashed beyond recognition, having been bludgeoned to death by bricks. Her little feet chopped-off from right above her ankles. You see, she was wearing silver anklets which wouldn't come-off otherwise. The case was based on circumstantial evidence. X was acquitted by courts - on all counts, primarily on account of : grave lapses by the investigative/prosecution agencies, non-examination of material witnesses and obliteration of vital evidence. The sheer agony of the court is palpable in the judgment. Joseph was arbitrarily arrested, falsely prosecuted and ultimately loses his life, while the court remains oblivious. Conversely, in G’s case, the accused who brutally cut short her life, went scot freeon account of glaring omissions in the investigation. Irregularities which could have been nipped in the very bud by a more involved, responsive & pro-active magistracy. In both these cases, it is not Joseph or X who is at trial, it is ‘us’. This paper makes a case for a more pro-active & responsive magistracy. It is an endeavour to highlight the areas in which magistrates, as the protectors of rights of people, can make meaningful interventions during investigation, with a view to protect liberty and also to ensure an effective investigation. An attempt would be made to analyse the relevant statutory provisions and case law on the subject, and also to draw comparative insights from the conception and role of a Magistrate in the french criminal justice system. 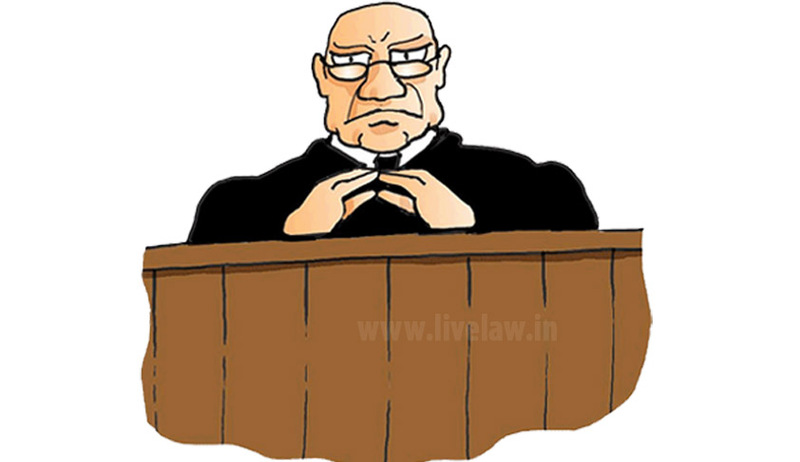 Stage – II – In cases where the arrest is effected by the Investigating officer, on his production before the court and while deciding the question of the validity of arrest and need for further custody - Judicial or Police. Stage – III- Magisterial interventions while deciding misc. applications for recording of statement(s) u/s 164 of the Cr.P.C, test identification parades, etc. Stage – IV – Monitoring of investigation and Comparison with French Model. Criminal justice Administration is set into motion with the receipt of information with respect to the commission of a cognizable offence (Section 154 of the Cr.P.C). Section 157 mandates the sending of a report to this effect to the area magistrate forthwith, to bring the matter to his scrutiny. This is a safeguard meant to prevent police excess, embellishments, false prosecutions and non-investigation at a crucial stage. A copy of the FIR (often termed ‘occurrence report’) is to be brought to the seisin of the magistrate as soon as possible, and any delay can adversely affect the prosecution case at trial, if not explained adequately. In heinous cases, a copy of the FIR alongwith an endorsement is dispatched via a special messenger to the area magistrate or duty magistrate.Delhi High Court Rules require the magistrate to make an endorsement on the copy of the FIR regarding date/time and place of receipt. The Delhi High Court recently in Rafiq has directed magistrates to mention the aforesaid details & sign such copy of the FIR legibly, forthwith on its receipt, so that the time of registration of FIR can be ascertained with exactitude. Stage II – Production of the Accused before the court for the first time. The requirement of recording of reasons is expected to transcend the essentially subjective decision of arrest, to greater objectivity and to rule out arbitrary arrests, made with a view to wreak vendetta. The Magistrate is a bulwark against unnecessary detention and abuse of power and process. The recording of these reasons, therefore, is a condition precedent for arrest. Magisterial check on police powers of arrest. The sufficiency of reasons for arrest recorded by the police officer is to be examined by magistrates and not to be accepted at the mere ipse dixit of the police. After examining the validity of the arrest, the next point of inquiry is : whether there are grounds to keep the accused in detention or whether he can be released on bail, or otherwise discharged. The Supreme Court recently in Arnesh Kumar v. State of Bihar has ruled that decision to detain & remand is not a mechanical act and a remand order has to be a reasoned order and should reflect due application of mind. Mere mechanical reproduction of above elements in remand application is also to be deprecated. These conditions have to be justified in the factual matrix of each case. The fact that 76 % of the prisoners in Tihar Jail are undertrials is evidence of a rather trigger-happy (or rather custody-happy) magistracy. Magistrates, to borrow the expression of Lord Atkin, ought to avoid being more executive-minded than the executive and consider the question of bail/release by special order on the first production suo motu. The anxiety as to participation in investigation by the accused is allayed by Section 41A of the CrPC, which provides for service of a notice on the accused by the Investigating Officer (in short ‘IO’) seeking participation in investigation and the necessary information from him. If the accused does not comply with the notice, he can be arrested, after recording the factum of his non cooperation in writing. The magistrate is also under an obligation to peruse the Arrest Memo/Medical examination report of the accused (to rule out cases of police torture) as well as the victim (to preserve crucial medical evidence). It is also incumbent on the Magistrate to ensure production of the accused before itself within 24 hours of arrest and communication of information to relatives/friends about his arrest and compliance of the detailed guidelines laid down by the Supreme Court in D.K.Basu (supra). The Magistrate is to also ensure that the copy of the FIR is uploaded on the internet, forthwith, except of course, in cases where the matter is sensitive in nature, or issues of privacy are involved. Case diary is an effective instrument for the magistrate to keep a tab on the propriety of an investigation. The Supreme Court has repeatedly reiterated that the case diary should be maintained with scrupulous completeness and efficiency, since it is an extremely important document. When a person arrested is produced before a magistrate for remand, the magistrate has to : peruse and scrutinise copies of FIR/Case Diary ‘Zimnis’, which ought to be in the form of a volume, duly paginated and contain statements of the witnesses recorded u/s 161 of the CrPC, and also to ensure that the same arein chronologyand reflect the progress of investigation. The Delhi High Court Rules make it incumbent upon the Magistrate to record reasons for the grant of remand and to sign and date every page of the case diaries or copies thereof as a token of his having seen them. This rules out any fabrication, embellishment or interpolation of case diary at a later stage. Even god did not banish Adam and Eve from the heavens for their proverbial sin, before giving them an opportunity of making their case. The Magistrate can claim little immunity from this salutary principle of natural justice, wherein no man ought to be condemned without hearing him. The magistrate is duty bound to ensure Legal Representation for the accused at the very first production and to give him an effective opportunity of being heard. If the accused does not have a private counsel, Legal Aid from the state is to be ensured. In Delhi - Remand Advocates have been appointed by the District Legal Services Authorities, in each court, to ensure fair representation for each accused. Detention in police custody (permissible only within 15 days of the first remand), is usually disfavoured by law, which guards personal liberty zealously. Courts are cognisant of the police’s predilection for disclosure statements &confessions(often extorted), instead of scientific and objective methods of investigation. Therefore, at the time of giving police remand, the magistrate ought to ensure and record the imperative need for police custody, and as to why it is is necessary for an effective investigation. The need for discovery of the weapon of the offence, fruits of crime, unearthing a larger conspiracy and facilitating the arrest of co-accused by disclosure are important considerations. However, mere verification of information given by the accused is not a ground for police custody. Similarly, the Magistrate should also ensure that remand is not taken merely to make a ‘pointing out’ memo. Such pointing-out memos, needless to state, have no statutory sanction or admissibility in a court of law. Only when there is a certain physicality to a discovered fact : that the same falls within the definition of Section 27 of the Evidence Act. Practise has shown that ‘Pointing out Memos’ are recorded with a view to circumvent the clear embargo on police confessions under Section 25 of the Evidence Act, and to permit a rather insidious inclusion of incriminating facts through a circuitous route. One more thing that a Magistrate ought to be extremely cautious about is that in almost every criminal case - there is an (alleged) confession made to the police by the accused, however, practise shows that only seldom does the police file an application for the confession to be recorded in the presence of the Magistrate, after compliance of Section 164 of the CrPC. It defies reason as to when so many accused are penitent and inclined to confess, then why no confessions are being recorded through the Magistrates. This becomes crucial since the confession before the Police Officer is inadmissible in law and has to be totally excluded from consideration. However, such confessions are employed to IOs routinely to have atleast some semblance of a case against the accused and seek repeated Police Custody/Judicial Custody on that basis. Expediency should never be allowed to supersede the legal principle and Magistrates ought not to blink at such a practise, as the very fact of there being a police confession in every case and judicial confession in none, reflects a pernicious, and a rather appalling state of affairs. In every case where the accused has allegedly confessed to the police, the magistrate ought to put a question to the IO as to what prevented him from getting the confession recorded before the court. This will keep the coerced confessions in check and encourage police officers to explore other avenues of investigation, which are more legitimate. It is also important for the Magistrates to remember that Police custody ought not to be given at the drop of a hat and at the mere asking of the police. It is also advisable for the magistrate to scrupulously ensure medical examination of the accused before and after the grant of police custody, so as to rule out torture at the hands of the police. In many a cases the injuries on the person of the accused are suppressed in the Medical Certificates. In such cases, the Magistrate may order a fresh medical examination of the Accused by a team of doctors at a reputed and independent medical institution and entrust the safety of the accused personally to a higher police functionary. It also needs to be remembered that the Accused has a right to interview with his legal advisor during this time. If the arrest seems unwarranted in the facts of the case, the magistrate can always disallow both judicial and police custody and release the person on bail (on surety or personal bonds), or even by way of a special order u/s 59 of the CrPC. A more active use of this provision is the need of the hour. The magistrate, when seized of the matter for the first time, ought to enquire about the status of the victim of the crime and whether the victim needs immediate first aid or any other interim compensation. A recommendation in this regard can be made by the Magistrate concerned to the District Legal Services Authority. DLSA shall go on to grant compensation in accordance with the Victim Compensation Scheme. Special Provisions relating to juveniles. While dealing with juveniles, the court ought to proceed strictly in line with the principles of parens-patriae & best interests of the child and zealously guard their welfare. Any offender under the age of 18 ought to be tried by the Juvenile Justice Board and is not to be exposed to the rigours of ordinary criminal law process. Whenever a plea of juvenility is taken by an accused, the age determination enquiry has to be conducted by the court only, in accordance with Section 7A of the JJ Act and Rule 12 of the Delhi JJ Rules, 2009. Where, in the opinion of the Magistrate, the accused is patently(from the physical appearance or otherwise) below 18, the court shall immediately transfer the child to observation home and order production of the juvenile before the JJB concerned. In other cases, the inquiry has to be conducted by the court, and if the accused turns out to be a juvenile, he shall be ordered to be transferred to observation home the same day and if person has turned an adult on the date of such order, in that case, to a place of safety. Contrary to popular misconceptions, an age inquiry, envisaged under the act, is a summary inquiry to be completed within 30 days (Rule 12 of the Delhi JJA Rules, 2009) and not a full blown investigation or trial. Oral evidence need not be recorded to arrive at a finding. Lengthy examination/cross examinations are also out of the question, unless of course, a vexed question of fact arises. The input for such an inquiry may be prima face opinion on the basis of documents. Experience has shown that in many cases, investigating officers would deliberately state the age of the accused to be above 18 years in order to defeat the benevolent provisions of the Juvenile Justice Act. To counter this, the Delhi High Court has directed that : in case of person arrested being within 18 to 21 years of age, the Investigating officer of the case of the case has to mandatorily prepare an age memo and collect proof regarding the age of the accused, and court also has to conduct an age inquiry in such cases, if juvenility is pleaded. STAGE – III – Magisterial interventions while deciding applications for recording of statement u/s 164 of the Cr.P.C/Test Identification Parade, and the like. Recording of Statements of the witnesses is a vital part of the investigation. This not only allows an investigator to come to a finding, but also captures the testimony of the witness, when the same is still fresh and unsullied. However, the code reflects a palpable distrust of police officers in the matter of impartial recording of statements. Statements recorded by the Police Officers during investigation are inadmissible in evidence, except in limited cases where it can either be used as a Dying Declaration or only insofar as it leads to a recovery. These statements, however, can be used for contradiction and cross examination of the prosecution witnesses, at the time of trial. In India, the statement u/s 164 of the CrPC is recorded by the same Magistrate who goes on to conduct inquiry or trial, or his link Magistrate (In Delhi). In contrast to this, in the French system, the statements of the witnesses are recorded by an ‘Examining Magistrate’, a judge who carries out investigation and also arranges prosecutions. The conception of a Magistrate under the French System will be dealt in greater details in the following paras. Coming back - Under the present code, Section 164 allows recording of statement of witnesses & confessions by the magistrate. The statement of witnesses under this section is recorded on oath. The underlying objective is to preserve evidence, get an account of the testimony of the witness at the first instance (while it is still fresh), and to prevent retraction of testimony at a later stage. Another upside of a statement recorded u/s 164 of the Cr.P.C is that the same can be used for corroboration of the witness’s testimony at trial, thereby strengthening the veracity of prosecution case. The safeguards in place to ensure the voluntariness of a confession/statement made before the magistrate are too well established to be reiterated. However, there are certain cases that deserve extra care and caution : for instance, in cases of rustic/illiterate and other vulnerable witnesses, the magistrate is duty bound to cull out the truth from the witness by asking the relevant questions. In cases of child victims, the statement ought to be recorded in the special child witness/vulnerable witness room, away from the grim dynamics of the court. The magistrate can also take the aid of visual guides/diagrams and anatomically correct dolls with a view to ensure that the young witness, who might not be articulate or possess an adult vocabulary, is able to communicate and explain as to what happened. POCSO also envisages the presence of a parent/support person with the victim at the time of recording of statement. It also permits the services of a special educator/interpreter/translator to aid the judge to understand and record the statement better. Wherever possible, the magistrate must direct the IO to make the necessary arrangements for video recording of the statement. The expectation, therefore, is of utmost sensitivity and responsiveness while recording the testimony of a vulnerable witness, being alive to the trauma & stigmatic impact that the witness has undergone. Witnesses disappearing or turning hostile is a major stumbling block in successful criminal justice administration. The need for a specific witness protection legislation has been sorely felt for many years. Pursuant to the repeated directions of the High Court of Delhi with respect to a law to this effect, the Delhi State Government has notified the ‘Delhi Witness Protection Scheme, 2015’. Under the scheme, witnesses are categorised under three categories, depending on the threat perception. The Delhi State Legal Services Authority has been appointed as the competent authority for the implementation of the scheme. As per the scheme, the witness facing a threat is required to file an application for protection before the Ld.Member Secretary/Officer on Special Duty, DSLSA, which has to be routed through the Prosecutor. However, the Magistrate too, has a vital role to play in this. The Magistrates establishes a direct dialogue with the witness at various stages of the investigation; therefore, in appropriate cases, where there is sufficient cause to believe that a threat to the witness exists, there is nothing that prevents the Magistrate from referring the case to the DSLSA for consideration under the scheme, even sans a formal application. The witnesses’s oral request may be treated as an ‘application’. Considering the fact that most witness are laypersons, without adequate legal advise and knowledge as to their rights, this latitude will go a long way to serve the spirit of the scheme. Apart from the magisterial interface with the investigation, as discussed above : The question as to how a case has to be investigated has been traditionally considered to be the sole prerogative of the investigating officer, premised on (the now defunct!) ideals of formalistic separation of powers. The dangers of unfettered power and insulating investigation from court’s vigil have already been demonstrated in the introductory paragraphs of this paper. Such anachronistic notions of a passive magistrate have taken a thorough beating over the last couple of years and the definitive shift towards a more inquisitorial and participative system is clearly discernible. The argument that there is no provision in CrPC that allows the magistrate to monitor an investigation has been debunked by the Supreme Court conclusively in Sakiri Vasu wherein such power has been read within Section 156(3) of the CrPC. It has been held that the power to direct investigation u/s 156(3) of the CrPC is wide enough to include all such powers in a Magistrate which are necessary for ensuring a proper investigation. Therefore, in appropriate cases, the victim, complainant or a witness can approach the court seeking necessary directions to the police and supervision of investigation. This reflects a definitive shift in the perception of a magistrate and recognition of his social function. The fact that he ought not to remain a mute spectator to the distortions and inadequacies of investigations, but make meaningful interventions. At the same time, the magistrate ought to desist from investigating himself, as in the system we have adopted in India, the same magistrate often conducts the trial. However, the magistrate is empowered to monitor the investigation, with a view to ensure that it is free and fair. The exact import of word 'monitoring of investigation’ is too circumstantial to be put in a straitjacket. Placing a narrow interpretation on the phrase will render it sterile. The phrase, therefore, ought to receive a social context or liberal interpretation. Illustrative cases, where the power to pass necessary directions may be used are : to protect witnesses, check disregard of vital evidence (which may get obliterated in course of time), non-examination of witnesses, deliberate shielding of some accused, or the investigating officer being interested in the case. In such cases, a magistrate ought to push the envelope and actively monitor the investigation, while avoiding investigating himself, or directing investigation by a specific agency, with respect to which there is a specific embargo on the powers of the magistrate. Monitoring of investigation by the magistrate is, therefore, of vital importance to protect the integrity of prosecution. In this regard, the Magistrate has to walk a tightrope and balance, on one side - the separation of executive from judiciary and the investigative autonomy of the police and on the other, the imperatives of a fair, free and impartial investigation and to ensure that the search for truth is not muddied by police lapses, whether innocent or blameworthy. The above amendment remains elusive. Similarly, amendments to Section 482 of the CrPC so as to acknowledge ‘inherent powers in the trial court’ to pass any orders to do complete justice, have also remained on the paper. However, even dehors these amendments, there is nothing that prevents the court from reading this ‘pursuit of truth’ within the existing framework and more particularly, within Section 156(3) of the CrPC. Any analysis of the role of a Magistrate cannot be complete without a comparison with the extraordinary role of a Magistrate in the French System. France’s investigating magistrates, or Juge d’instructions’, as they are called in french, have been a central pillar of the french criminal justice system for the last 200 years. Under the French System - Investigation in respect of serious and complex offences is done under the supervision of an independent judicial officer, who for the purpose of discovering truth : collects evidence for and against the accused and then decides whether the accused ought to be tried or not. In case of there being adequate material, the matter is forwarded for an adversarial trial by jury. The institution of a juge d’instructionwas made in the mid 19th Century. Juges are appointed by none other than the President himself - for fixed three-year terms (which are renewable) upon the recommendations of the Ministry of Justice. The juge d’instruction commences investigation on either a referral by the prosecutor or on a private complaint. Once the juge d’instruction’s is seized of the matter : even the accused gets right to all the documents and evidence collected during the investigation, and the right to be assisted by a counsel throughout the investigation. In contrast to this, in a strictly adversarial system - such as ours, the accused has little role to play in the investigation. The Investigating officers usually collect only incriminating material, totally disregarding exculpatory material. The accused does not get to participate in the investigation process, till the filing of the police report, and not even thereafter, strictly speaking, as even upto the stage of charge, he cannot adduce any evidence of his own to assist the court. He can only address submissions, punch holes, and expose intrinsic infirmities in the case of the prosecution. This results in the court having a totally one sided view of the case, atleast till the stage of charge. This also results in a warped investigation; as much of what the accused can possibly rely on, is lost. This is especially problematic having regard to the fact that : most accused persons have little investigative prowess compared to the state, and by dictates of logic - a negative (innocense) is always more difficult to be proved than a positive (guilt). Coming back to the institution of Juge d’Intruction, To assist fact finding, juge has a wide range of powers available. He may issue search warrants and order seizure of property. He also may issue warrants requiring attendance of other witnesses; he may even require experts to testify. Infact, if there is a conflicting testimony, witnesses are confronted with each other and often with the accused. This exercise is not done, in an adversarial system, till the recording and appreciation of evidence, which is usually- years after the actual occurrence and when the recollection of the incident is allowed to be muddied. The evidence collected and the testimony of witnesses recorded - make up what is known as a ‘dossier of a case’, which serves as a guide for the juge in the preliminary hearing in the court. It is also made available to the defence, so that the element of surprise, so prevalent in common-law trials, is eliminated from the main hearing. It is on the strength of this file that the juge d’instruction bases his decision as to whether to commit a case to trial.The trial is conducted by another judge or the jury, which allows a fresh set of eyes to evaluate the evidence collected. It will be naive to suggest that the institution of examining magistrates is devoid of imperfections. An inquisitorial system is not at all infallible. An apt illustration will be - Albert Camus’ famous work - ‘The Stranger’, where an examining magistrate allows extremely prejudicial past character evidence (which ought to have been excluded) and societal retribution to creep into the trial against the defendant. Where : in a trial for Murder of an assailant, evidence was allowed to show that the defendant did not believe in god; Evidence was also allowed to the effect that the accused displayed a lack of emotion/grief at his mother’s funeral some months back. Strangely, this fact was allowed to be led in evidence to prove his guilt in a totally unrelated murder case. One more opposition to the french model is that : there is no constitutional right of habeas corpus in France. Investigating magistrates have a right to keep suspects in detention for extended periods of time without trial. It is also argued that the ‘examining magistrate’ system is also less effective in ordinary crimes. It is slower and sometimes chokes the system; it is relatively more opaque and the concentration of power in one magistrate sometimes leads to arbitrariness in exercise thereof. Having said this, the Inquisitorial system has certain undeniable advantages. It can be used to avoiding misunderstandings at an earlier stage in the case. In addition to this, in an inquisitorial system - ‘truth seeking’ is the fundamental value, and the very ‘end’ of the system. This is contrast to the Adversarial system, where by competing to prove one’s case to the judge - parties are encouraged to win, not uncover the truth. This can lead to unnecessary complications during the trial and more technical objections. Truth seeking is lost somewhere in this dialectic clash, which is seldom played by the rules. Such a passive system, also ends up rewarding the better lawyer and not the more truthful case. Relatively, Trial procedures in this non-adversary model are simpler, less technical, and less lawyer dominated than in the adversary model where a complex system of evidentiary and procedural rules governs the parties' judicial duel. It is undeniable that the move towards a more pro-active and participative magistracy, on the lines of the examining magistrate is the need of the hour. Incidents of transgression of power will not be common-place, and in any event, a magistrate can be credited with greater objectivity than the average investigating officer. The argument of possibility of bias creeping in is not very convincing as bias can never be completely ruled out as long as investigation is done by any human agency. However, a judge’s very training gives him atleast some amount of transcendence and objectivity; although - aberrations are always there. Therefore, on a juxtaposition of the two systems. Both have certain advantages and concerns. But on a fair analysis - the trade of should not be difficult; The benefits of a more inquisitorial approach far outweigh the pitfalls. Across the world - there is a move towards more involved and less passive legal systems. Within the Indian Legal Framework - these benefits can be achieved with the expansion, or atleast better use of Section 164 of the CrPC - wherein statements of more material witnesses are recorded before the Magistrate during investigation, more proactive use of S.156(3), inclusion of powers to pass specific directions to the Investigating Officers, with a view to aid the search of truth - as recommended by the Malimath Committee and saving of inherent powers with the trial court. This paper is an attempt to demonstrate that all this can be achieved, atleast in a fair measure, within the existing judicial framework. Magisterial vigil does not terminate on the filing of the police report on the conclusion of the investigation and the court is not bound to accept the results of an investigation conducted by the police. In the case the police concludes that no case is made out against the accused, the Magistrate has to issue a notice to the informed/victim and hear him out. After hearing the informant, the court can, notwithstanding the closure report, choose to proceed with the matter, as a case based on police report or even a prior complaint. The third option available is ordering further investigation. Section 173(8) of the CrPC expressly lays down such a course of action. However, the section does not enlist considerations that will govern the exercise of such power. Illustrative cases where further investigation may be ordered are : where the police acts in a partisan manner to shield the real culprits and the investigation has not been done in a proper and objective manner but is tainted, non-examination of crucial witnesses, clearing of doubts and to substantiate the prosecution case. To conduct fair, proper and an unquestionable investigation is the obligation of the investigation agency and the court in its supervisory capacity is required to ensure the same. Having said that, further investigation is to be distinguished from re-investigation or a de-novo investigation, which is not permissible.In cases where vital evidence has been disregarded by the police, the court can order further investigation into that aspect. The result of the further investigation is called a ‘supplementary report’ and can supplement the primary police report, already on record. The earlier investigation is not wiped-off from the record and the subsequent investigation only supplements the earlier investigation. The magistrate also cannot order a further investigation by a different agency (agency other than the original investigating agency) either, as that will amount to re-investigation. Only the higher courts have the power to order reinvestigation by a different agency, such as the CBI. Having said that, in such cases, the Magistrate is not powerless, if the magistrate suspects foul play in investigation, he can always pass orders for senior officers to supervise the investigation personally and file periodic compliance reports, in a process akin to a continuing mandamus. The power of further investigation, it must be remembered, can be exercised even suo motu, and even after taking of cognizance- to ensure that no crucial aspect of the case goes investigated and subsequent facts are brought to the fore. It is apparent that ample powers are vested in the magistrate to check arbitrary arrests, police excesses & to facilitate a more incisive probe into the discovery of truth, at various stages of an investigation, and even after filing of the police report. Never should a judge find himself in a situation where he has to make a grudging confession of acquitting a known culprit due to lack of evidence or investigative lapses. A conscientious magistrate’s Dharma also lies in the deft use of these provisions, in order to uphold constitutional values and the Rule of law, and in this he ought not to hesitate in recalibrating the scales of justice and even protectively discriminating to correct systemic asymmetries & disadvantages towards the weaker accused, witness or the complainant. Existing provisions can be interpreted creatively. Cues can be taken from the magisterial role, as envisaged in other jurisdictions. No doubt, there would be questions raised over the magistrate having descended into the arena. But the magistrate ought to not to be unnecessarily wary of such aspersions; or be a worshipper of dead habit, convention, or the complacency of the status quo, for no ideals, howsoever hallowed, can be allowed to impede the voyage of discovery, an affirmative duty for the search of truth.